Tiny dogs are a popular fashion accessory amongst many celebrities and fashionistas, but now a different type of animal can be toted around for its aesthetic value. Keep on reading to find out what it is, but I'll give you a hint, and his name is Johnny Depp! Fur is out, feather's are in, at least according to the prospective new trend of carrying birds instead of dogs as a fashion accessory. We've seen this trend before, but typically bird accessories are found perched on the shoulder of handsome pirates in popular movies. 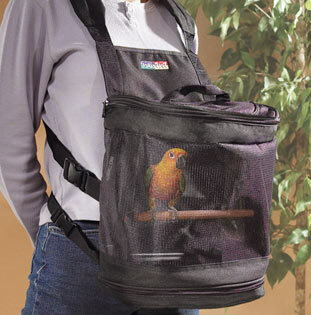 Now, a birdcage backpack makes it possible to get your favorite bird out to see the world! 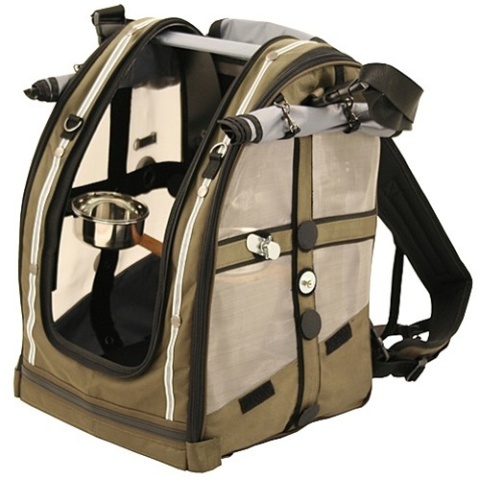 The functional, and sort of fashionable backpack has a durable mess fabric that takes the place of bars on a typical cage and a removable bottom tray makes for easy cleanup! What do you think, will Paris Hilton replace her dog with a feathered friend, or is this one trend that will never take flight? Nature Is Full Of Wonder -- The Animal Video Of The Day!!! Swans In Need Of Help! The Animal Video Of The Day!! !